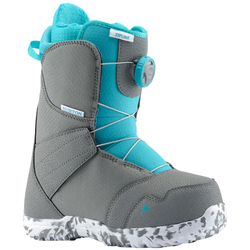 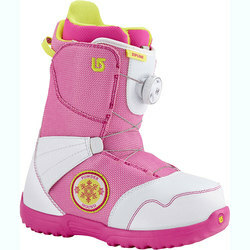 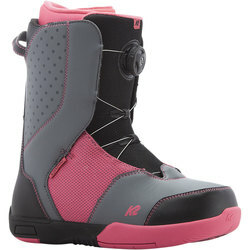 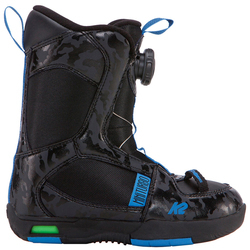 Snowboard boots should exquisitely match each kid’s size as well as the style and level of riding. 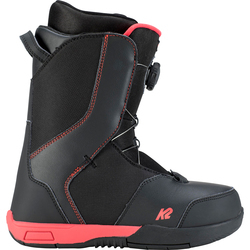 More advanced, fast and aggressive riders generally choose stiffer boots, while softer boots allow a more forgiving and playful feel for the park or all-mountain use. 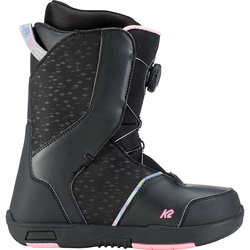 Boots are one area where you do not want to skimp on quality, because their fit and performance will completely determine the wearer’s comfort level throughout a day of riding. 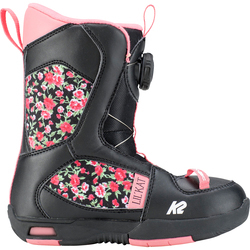 Superlative boot brands for kids include K2 Snowboards and Burton Snowboards. 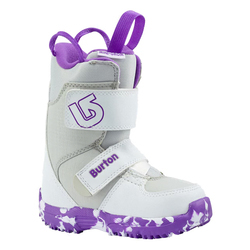 Kids can choose from a variety of fun color options, such as black, white, grey and numerous multicolor selections.